Why wait for a birthday party when you can come in daily to PUMP UP THE JAM! Open Jump is open to the public for all ages. Children MUST wear socks and be 34" or taller to play on inflatables. Infants and adults are FREE! Walk-ins are accepted on a first come first served basis. We always encourage our players to make a reservation to secure a spot! 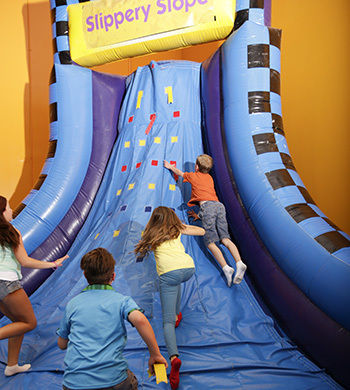 70mins of FANTASTIC JUMPING FUN! WHO DOESN'T LOVE BUBBLES!! Come on down to play for 70 minutes an see your kids go crazy as bubbles fill the air! This is fun for the entire family. 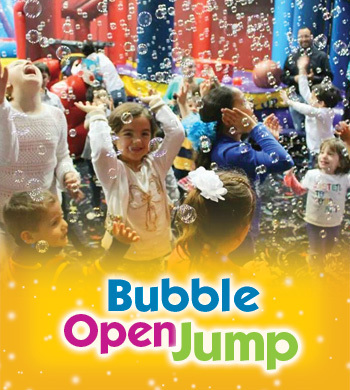 Bubble Jump is open to the public for all ages. Children MUST wear socks and be 34" or taller to play on inflatables. Infants and adults are FREE! Walk-ins are accepted on a first come first served basis. We always encourage our players to make a reservation to secure a spot! TURN DOWN THE LIGHTS AND TURN UP THE FUN! 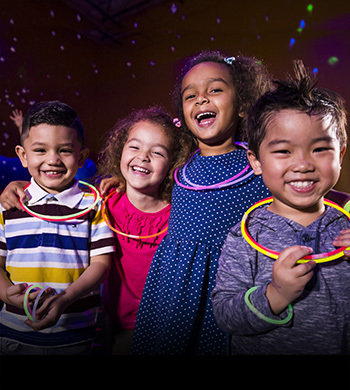 Our Glow Jumps are lit up and perfect for kids that love a light show! GLOW Open Jump is open to the public for all ages. Children MUST wear socks and be 34" or taller to play on inflatables. Infants and adults are FREE! Walk-ins are accepted on a first come first served basis. We always encourage our players to make a reservation to secure a spot! Pizza Jump & GLOW Pizza Jump! Both events will include a pizza meal for Kids! Pizza Meal includes 2 slices of Pizza & Juice. Adults can also enjoy a pizza meal for $4.00 at the front desk.